Promote tech and independent companies from around the East Midlands. Celebrating the great people and companies in the East Midlands. We have a blog series with tips for the full process of writing and delivering a talk, and are presenting hints and tips at a variety of meetups around the East Midlands. Keep an eye on our Twitter or LinkedIn for updates. By submitting a talk to DDD East Midlands you agree to uphold and setting an example of upholding the DDD East Midlands Code of Conduct. This event is in GMT Standard Time time zone. DDD East Midlands is an inclusive non-profit conference for the East Midlands software community. We welcome presentations from all routes of the software industry, and if voters think your talk sounds awesome, you are in! 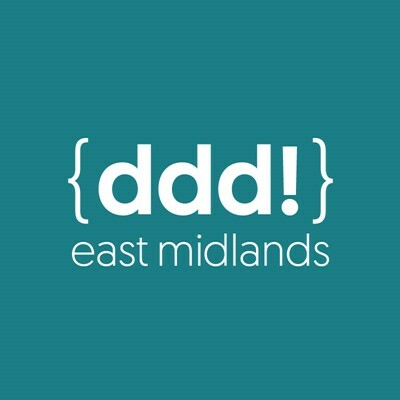 This is the very first DDD East Midlands, and we welcome a variety of talks and speakers. From the well-weathered experience speaker, through to first-time speakers - we want to make this an experience that everyone can enjoy while celebrating the innovation, collaboration, camaraderie and talent we have in the East Midlands tech community. Sessions are 60 minutes long - suitable for an hour-long talk or a 45 min talk with Q&A. We offer support to any speaker that requests it and gets selected. This includes mentorship and a place at our speaking workshop. All submissions are anonymised. Please try to keep any identifiable information out of your talk descriptions. We will only show the title, abstract and tags of a talk to voters to remove unconscious bias. Talks will be selected by popularity vote. Attendees will be asked to vote on talks they want to see at the event, and the most popular ones will be selected. There are some cases where talks can be de-selected at the organiser's discretion. If a talk title of description does not align with the DDD East Midlands Code of Conduct it may be removed. If there are many similar talks selected, the least popular will be dropped in favour of the next most popular talk with a different topic. This is to ensure the conference variety. There will be three speaking tracks all day for the ~350 people we hope to be in attendance. As such we estimate your audience will be around 50 - 150 people. You are welcome to submit a talk with a co-presenter. We discourage vendor or sales talks, though you may have a slide or two about yourself or company. We will open voting prior to the event. If your presentation gets voted in and you agree to present, then this is a serious commitment.